Situated just to the west of Lechlade in the eastern part of the Cotswold Water Park. It's a great location to watch over wintering wildfowl and in the springtime watch the reed dances of the great crested grebe. There is no parking at the reserve and the entrance to the site is only accessible by 4x4 at the best of times. From Fairford, head towards Lechlade on the A417. After passing the garden centre, go straight over the roundabout and after about 200m turn right down the single-lane track. After 300m follow the track round to the right, and the reserve is the first lake on your right after about 500m. Roundhouse Lake nature reserve is a fine example of the purity of habitat that can be achieved through the careful and sympathetic restoration of gravel pits. The large open lake plays host to a large number of wintering wildfowl, including wigeon, red-crested pochard, goldeneye, pochard and tufted duck. 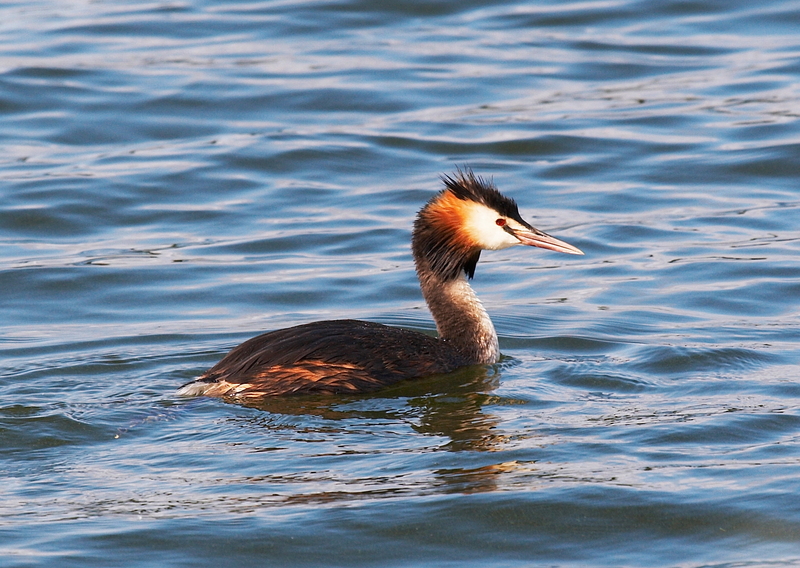 Great crested and little grebes are also frequently found on the lake, and sightings of kingfisher are not unlikely. Otters are also known to visit the lake regularly.